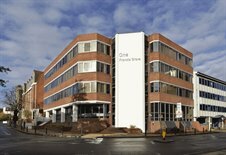 Supply of office stock in Wimbledon is now reaching historically low levels with the recent letting of the ground floor of 1 Francis Grove. This Grade A refurbished office suite of 4,983 sq ft was let to a UK based digital agency. If you are thinking of letting offices or developing a site in Wimbledon please contact Andy Armiger on 0208 546 2166.